I Love English, 오늘 이 시간에는 결혼 준비와 관련된 대화를 듣고, 다양한 영어 표현 알아보겠습니다. A: Hi, Mary. How are your wedding plans coming along? B: I had an argument with my mom about the wedding dress. She loves the dress on me but it costs almost $5,000. To me, that’s just money down the drain. A: Yes, I see your point. B: I’d rather rent a dress and spend the money on something I really want, like a sports car! A: 메리야, 결혼 준비는 어떻게 되가니? B: 어제까지만 해도 잘 진행됐지. B: 웨딩 드레스 때문에 엄마랑 좀 다퉜거든. 엄마가 5천 달러나 하는 드레스를 나한테 잘 어울린다며 사라고 하시는 거야. 난 돈을 그냥 내다 버리는 것 같아..
A: 무슨 말인지 알겠네. 그럼 웨딩 드레스 안 사는 대신 뭘 하고 싶은데? B: 드레는 그냥 빌려 입고, 내가 정말 원하는 거 사고 싶어, 스포츠카 같은거! How is that project coming along? I’m going to a Christian concert this weekend. Do you guys want to come along? You should come along with me. I’ll show you around. · I had an argument with someone about something. Ex) I had an argument with my Fiancé about the wedding venue. 전 약혼자와 결혼식장 때문에 다퉜습니다. I had an argument with one of my best friends about which apartment to live in. 전 가장 친한 친구 중 한명과 살 아파트를 결정하면서 크게 다퉜습니다. · Down the drain (= Down the toilet): You can use this idiom in any situation where you’re talking about something that’s lost or wasted. 무엇인가를 잃어버리거나 낭비했을 때 이 표현 쓸 수 있습니다. Ex) When I was at school, I spent all night writing a research paper.. I almost finished the paper, but suddenly my computer froze! And next? All my work went down the drain! 전 학교 다닐 때 밤새 레포트를 쓴 적이 있는데요, 거의 완성됐을 때 쯤, 갑자기 컴퓨터가 멈춰서, 레포트를 다 날린 적이 있습니다. I’m scared I’m going to be out of a job, and my 12 years of experience will be down the drain. 난 이 일을 그만 두면 12년의 경험이 도로아미타불이 될 것 같아 두려워. Ten years’ study went down the drain! I see your point: 네 말이 무슨 말인지 알겠네. A: My point is, teachers should stop and think before saying things to their students that can change their lives. 내 말은, 선생님들이 학생에게 뭔가 말하기 전에 반드시 잠깐 멈춰서 생각하고 말을 해야한다는 거야. 그들의 한 마디 말에 아이들의 인생이 바뀔 수도 있으니 말야. B: I totally agree with you. 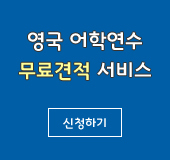 · I’d rather do A than do B : A보다는 차라리 B를 하겠어요. Ex) I’d rather stay at home to rest than go on a short trip. 전 짧게 여행을 가는 것 보다 차라리 집에서 쉴래요.